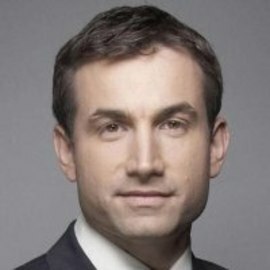 Elliott Gotkine was Bloomberg Television’s Middle East Editor. Based in Tel Aviv, he was the only international broadcaster in Israel focusing on company news, the economy, and technology. Since joining Bloomberg in 2007, Elliott has reported on major international events including the Greek crisis, the Irish bailout, and last year's war in Gaza. He's interviewed business and political leaders, including Alexis Tsipras, Patrick Drahi, Sheldon Adelson, and Shimon Peres. In 2008, he was nominated for a Business Journalist of the Year Award. Before joining Bloomberg, he spent six years at the BBC, where he served as a business reporter and South America correspondent. He holds a Bachelor’s degree in Geography from the University of Nottingham, and speaks fluent French and Spanish, and a smattering of Italian. He's working on his Hebrew.